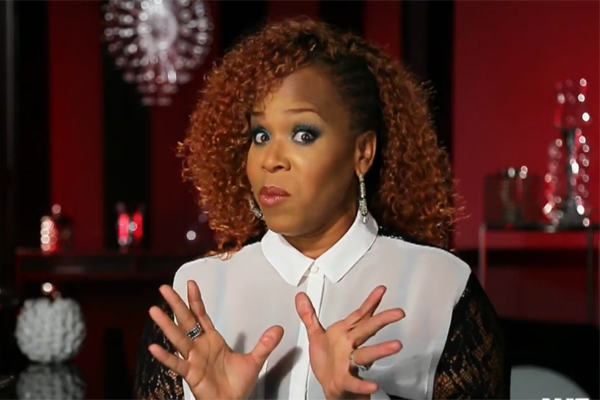 Tina Campbell further explains why she voted for Donald Trump - Ooooooo La La! Some things are better left unsaid ... like Tina Campbell admitting that she voted for Little Hands Bish a.k.a Donald Trump. Tina, who is one half of gospel duo Mary Mary, has been under fire lately (hella people are giving her the side eye) for further elaborating on why she voted for Trump. “I was faced with two presidential candidates that I really did not approve of,” she said. “And so I had to find something, a commonality with one of them, that would make me feel like if I have to vote, I should utilize my right to vote. Since I don’t prefer either of them, what can I find that would make me vote? And some of Donald Trump’s views on Christianity, honestly, is what caused me to vote for him." “Many of the decisions that he has made afterwards, I have not been in agreement with at all, which I wasn’t in agreement with my last president that I voted for,” she said. “But however, as a Christian, my perspective is to pray for the president, to not use my social platforms or other platforms to try to destroy this man, because at the end of the day, he still represents the country that I live in."